Montebello Mom: Fundraising Opportunity for your Non-Profit Group or Charity! Fundraising Opportunity for your Non-Profit Group or Charity! Saturday, October 6 from 9:00A.M - 9:00P.M. Non-profits and charity groups are able to participate at no cost, and will sell admission tickets to the event. Citadel Outlets will provide promotional materials to assist with ticket sales. Tickets are $25 each, with $20 directly benefitting the involved charities. 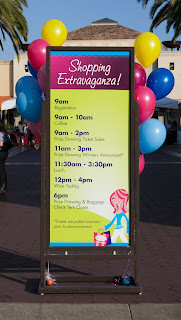 Shopping Extravaganzais a full day featuring exclusive ticket-holder discounts, contests, goodie bags, complimentary baggage check, lunch in a hospitality area, a wine tasting tent, and eligibility to win over $75,000 in prize drawings. 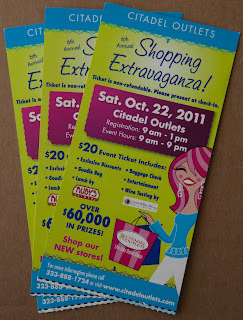 Prize drawing ticket sales also benefit participating non-profits and charities and are $1 each. Only ticket holders will be able to participate in this exciting event. 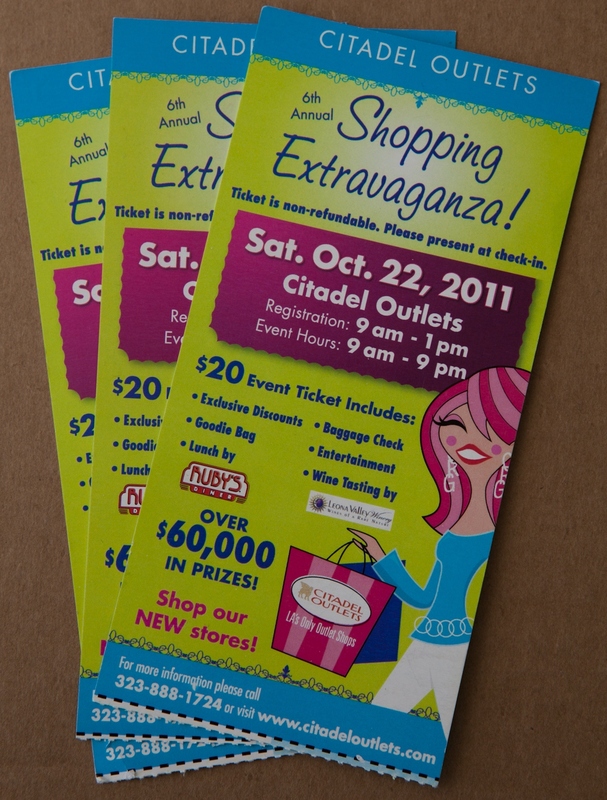 Tickets from the 2011 event. Groups interested in participating are encouraged to call (323) 888-1724.